For a lot of people, their Static Caravan is a home from home and so it’s of the essence that it is protected against all eventualities. 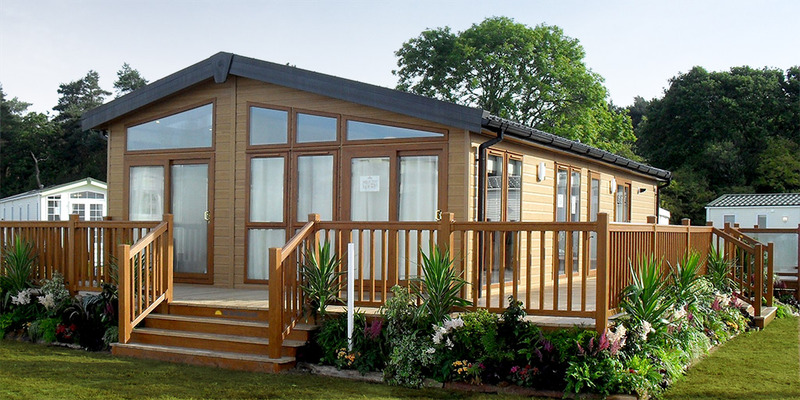 Even if your caravan is based on a Static Caravan park in North Wales, which boasts some of the tightest and well-advanced security systems, there is still little to no protection from the unexpected dangers and damages such as; floods, fires, storms and other harsh weather conditions – and so it pays to be insured. There have been many storms in the last 12 months that have damaged some Static Caravans beyond repair, as our coastlines have been lashed with bad weather and many parks have been flooded. Not only that but also many owners have failed to winterize their caravans, leading to burst pipes and damp issues. Your Static Caravan represents a significant investment and needs to be structurally sound for you to stay in. In addition, most caravans are filled with many home comforts that can be very expensive such as televisions, media players, home cinema systems as well as your kitchen essentials like cookers, washing machines and microwaves. It’s not just those items you need to protect though, as your soft furnishing can be forgotten amongst all this. Decorated interiors, carpeted floors and curtains for all windows can be very expensive to replace. Your insurance policy should cover the cost of replacing not only your caravan but your contents too! If you are subletting your caravan then you do need to have public liability insurance, to cover any damage to the interior or exterior of the van if your caravan is still under hire purchase from the site. It is your responsibility to ensure that the caravan is in pristine condition, inside and out – as well as this obviously being more comfortable for you and your family. If guests left the caravan in a poor state, maybe with burns or stains in the carpets or broken equipment then you need to be covered for this to ensure it can be replaced quickly (ready for the next guest) although vetting your guests and asking for a security deposit is a good plan to put in place too. Be sure that you’re secure: Different insurers will have varying requirements for securing your Static Caravan – so it is very important to make certain what an insurance company will cover you for and what you need in place. Many companies will fit alarm systems for you that will vary in price and technology, but it really important not to cut corners on security. Without adequate security in place, this could mean that if damages were to happen you wouldn’t be sufficiently covered by your provider. File it! Keep all your documents that relate to your Static Caravan – Evidence of ownership and its contents, proof of insurance, various receipts, financial agreements or registration documents should be kept in a secure place. It is also a good idea to keep copies of these documents, or backups on your computer. They will be needed if you do need to make a claim on your insurance. Read the fine print: The contracts which insurance companies have will likely vary considerably, so fully investigate your contract to see what you are actually covered for – and as important, what you’re not. Ask as many questions as possible, and find out what the exclusions are, for example, some insurers differ as to what an approved site constitutes of so this needs to clearly outline prior to any agreement. You need to also ensure you are sticking to your side of the bargain. Some insurance companies will have requirements for you to adequately secure items whilst the park is closed, and some will require you to protect from frozen pipes. Some insurance policies don’t include flood damage, so if you have a caravan on a coastline, then it’s best to ensure you’re covered. If things go wrong… If something does go wrong with your static caravan, or its contents, then your insurance will cover this. However, you will need proof to back up your claim such as police reports of the incident and photographic evidence. It is also of the essence that you have receipts for any items that have been damaged. Of course, no one wants to think that anything will go wrong with their beloved holiday home, but dealing with static caravan insurance at the outset will ensure that if the worst does happen, you will not be out of pocket, and will be able to repair and carry on enjoying your caravan holidays.